Plain front, 3 pocket standard trousers, not fishtail. 100% wool. Usual price £249, now only £149 (rare & select tartan supplement may apply). Made by bespoke Glasgow tailors, Heritage Clothing Scotland. Choose from a range of tartans. 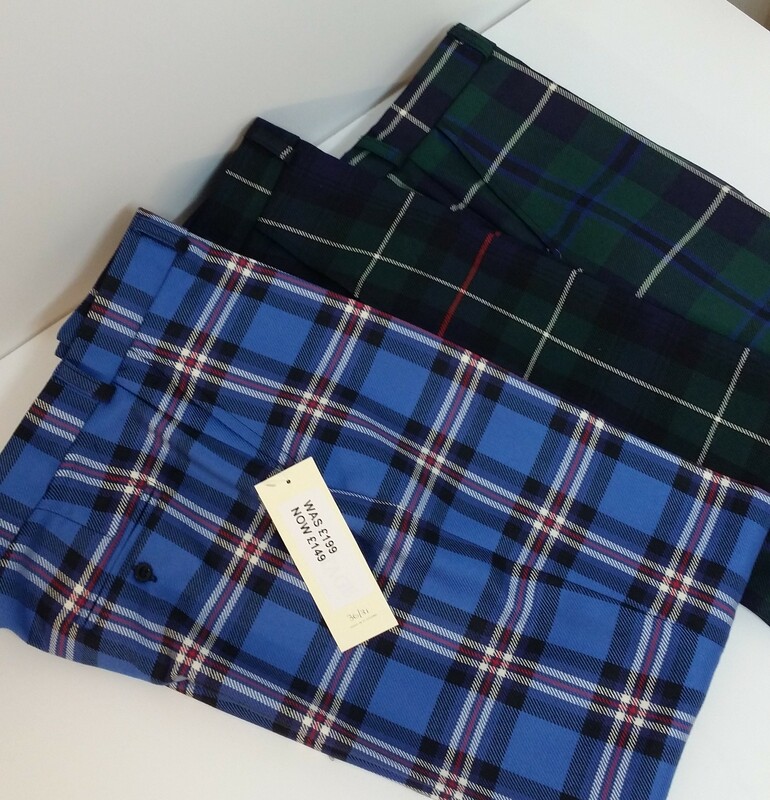 If you don’t see the tartan you are looking for, please email us. Available in any waist size and leg size you require. An excellent quality garment.